The annual Oxford University Pan-African Conference (OUPAC), is the flagship event of the Oxford University Africa Society (OUAS). 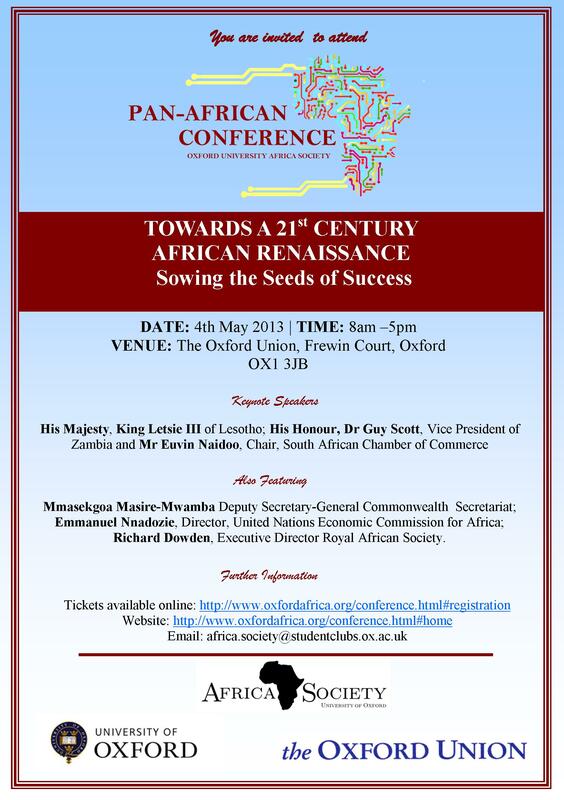 This year’s OUPAC is scheduled for the 4th of May 2013, with the theme: “Towards a 21st Century African Renaissance: Sowing the Seeds of Success”, in recognition of Africa’s emerging new outlook as a promising hub for global influence. More information about the line up of speakers and panels can be found on the OUPAC 2013 website. Tickets can be bought from the Eventbrite page.